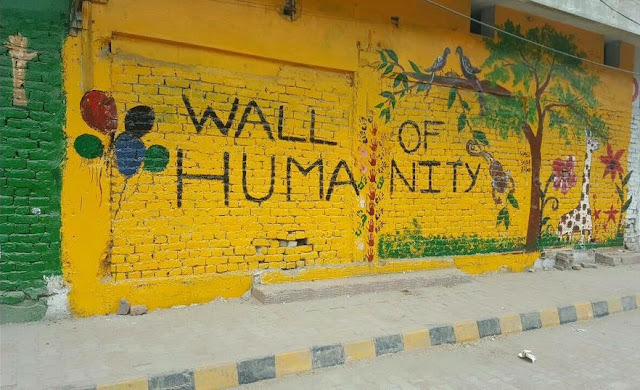 Wall of Humanity is a wall transformed into a welfare center. It is a Non Profit, Non Political, Non Governmental initiative taken by Rohayl Varind to win War Against Poverty. Since February 2016,"Wall of Humanity" team has been actively providing cooked food, clothes, books, household items like wheat, rice, oil etc. and medical checkup along with medicines all for free. Moreover it is open for the donors 24×7 to donate their clothes, shoes, books, toys, household items or anything useful for that matter that the poor and underprivileged ones can take from the wall. We have started this "War Against Poverty" and we'll fight this war till our last breath.